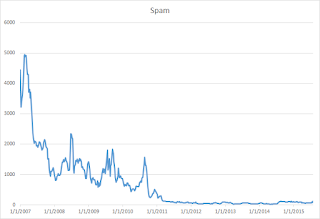 It's been years since I've written about spam. That article was really focusing on the McColo shutdown. 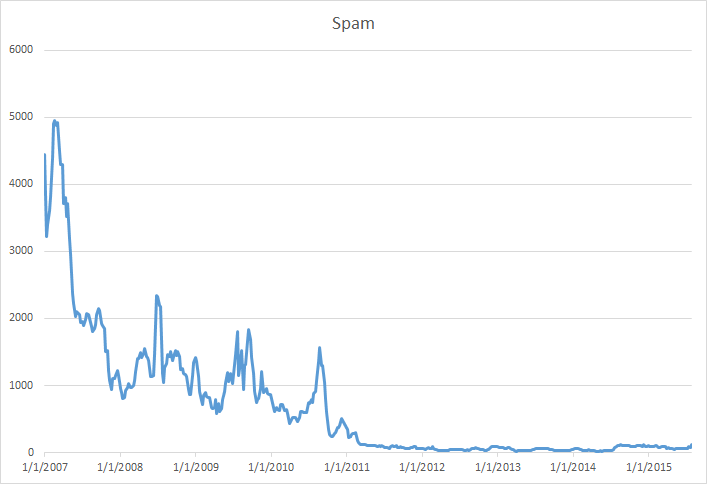 Recently I came across a Quartz article that said that spam is at a 10-year low based on work by Symantec. This prompted me to revisit my spam tracking. My numbers completely agree with Symantec's findings. For background, the way I get my numbers is that every Monday I log into a Gmail account and note the number of e-mails in the Spam folder. No, it's not my critique. Remember I tried several Microsoft file sync products and as Microsoft messed with them I dropped them one by one. I've stuck with Dropbox because it just works. I've been watching SkyDrive OneDrive (don't even get me started) as it has the promise of unlimited free storage and deep integration into Microsoft products. Recently Paul Thurrott wrote one of his "What I Use" articles on cloud storage. 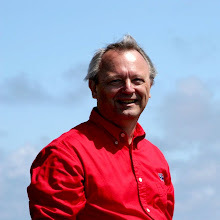 Thurrott is the guy who started SuperSite for Windows and hosts Windows Weekly. For Pete's sake, this guy uses a Windows phone! So why even bother with Dropbox? Simple. It works. It works really well. It works quickly. And it works reliably. Admittedly I haven't given OneDrive a try. 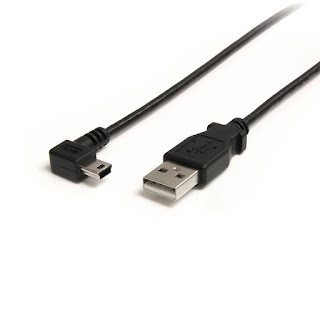 I have been a little gun shy given my experiences with other Microsoft file sync products. 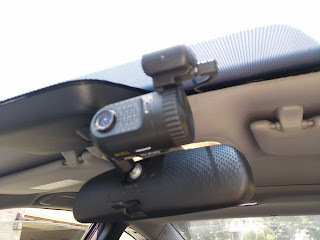 When I wrote the post about my dashcam I hadn't hardwired it. I was collecting the parts and installed it recently. 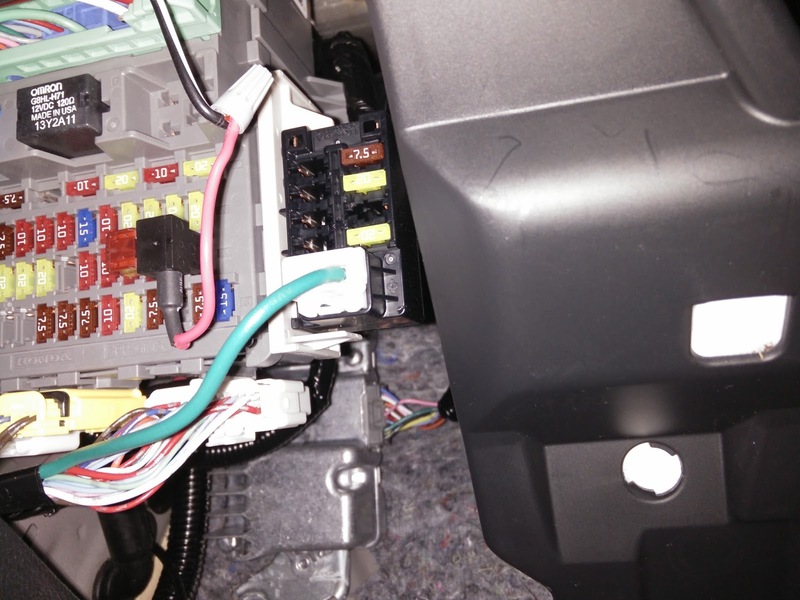 My plan was to run a miniUSB cable from the windshield mounted dashcam, under the headliner, under the door trim and to a switched socket in the primary fuse block. 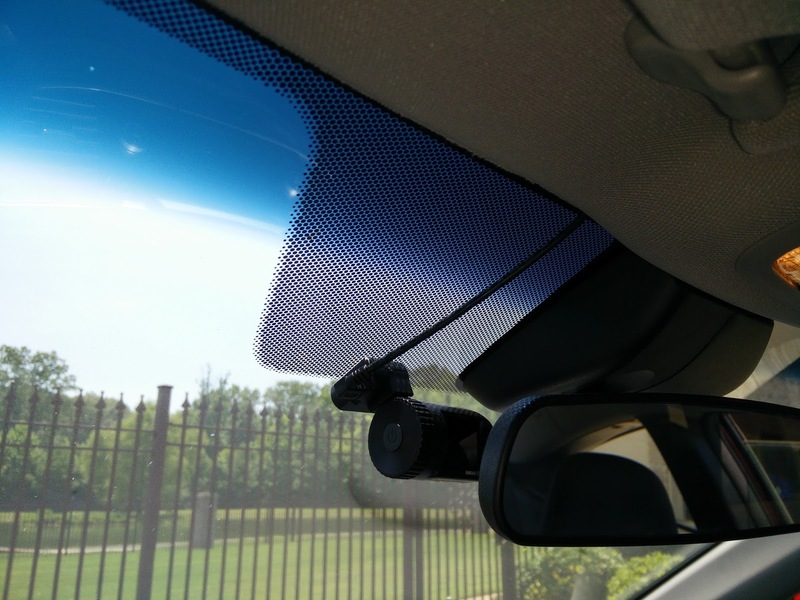 I found a miniUSB cable that had the proper angle to fit flat against the windshield and leave the dashcam headed directly to the top of the windshield. The headliner was loose enough to slide the cable under it. 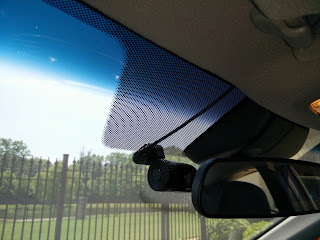 When I got the to driver's A pillar, I was able to slip the cable into the gap between the trim and the windshield. I snaked it down to the top of the dash and moved it over to the soft rubber door jamb trim. I slipped the cable under the trim and ran it down to the bottom of the dash. I put an Add-A-Circuit in the rightmost middle fuse socket. In my 2013 Accord this socket is switched with the ignition. 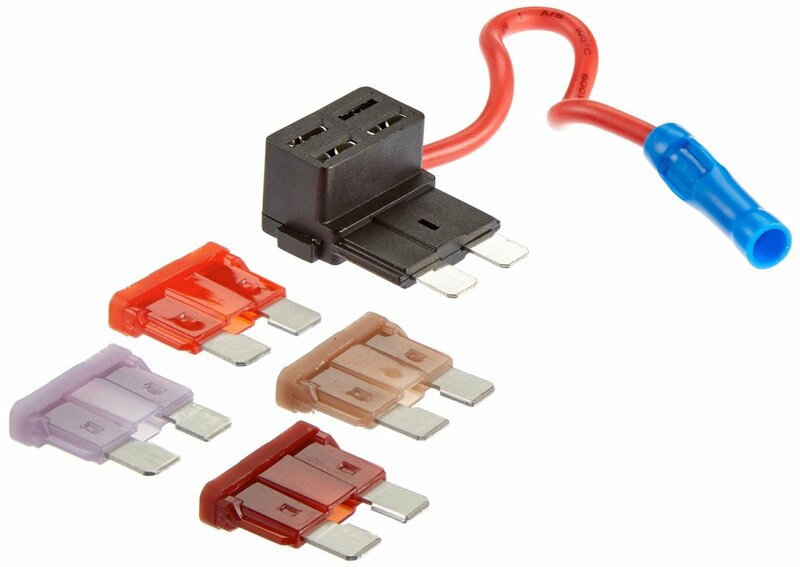 I put the 10A fuse displaced from the fuse socket into the primary socket of the Add-A-Circuit and put a 7.5A fuse (included with the Add-A-Circuit) in the additional fuse socket of the Add-A-Circuit. 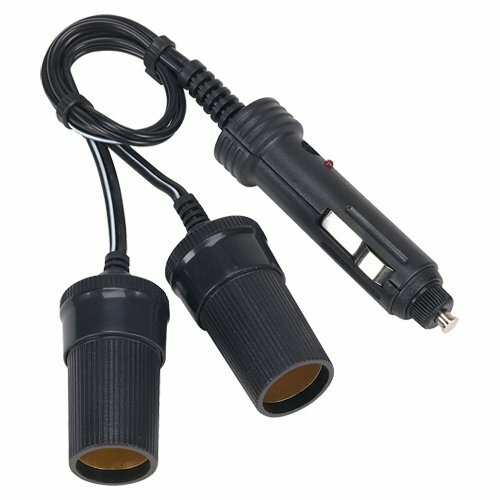 I got a car outlet adapter splitter and cut off one leg near the plug end leaving about a foot of cable and a socket. I attached one wire from the socket to the Add-A-Circuit with a wire nut and the other end to a convenient ground screw. 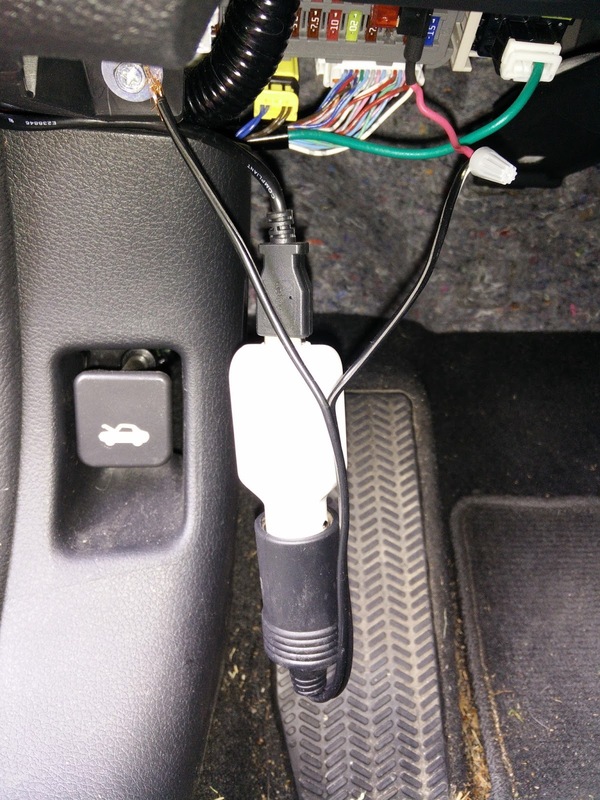 I grabbed a spare USB car outlet adapter from my junk drawer and inserted it into the car outlet adapter socket. Then I plugged the miniUSB cable into it. I should have zip tied all this together and velcroed it under the dash. I didn't. There wasn't much spare cable left so I just slipped the car outlet adapter socket up under the edge of dash. It seemed secure and has been there every since. I slipped this up under the edge of dash.